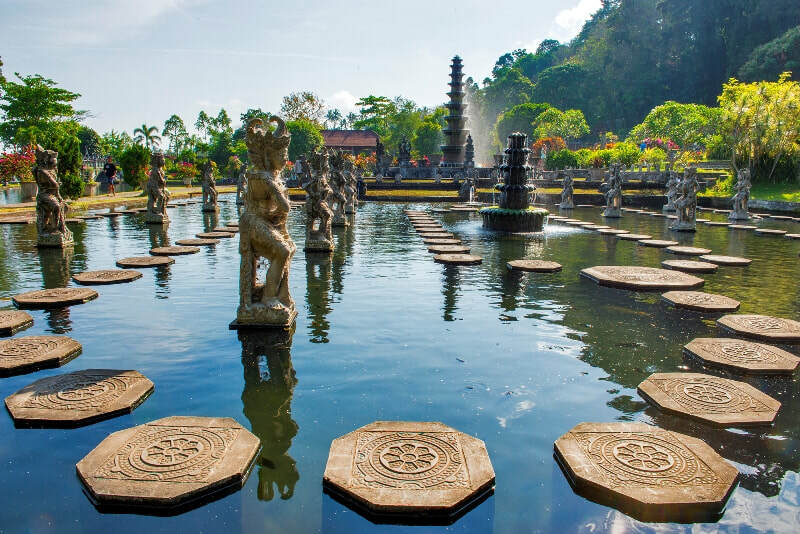 East Bali Tour is a Bali Full Day Tour Packages is to Visit places of interest in eastern part of Bali Islands with professional Balinese Tours Driver as your guide. East Bali Tour will visit tourist destination like Goa Lawah Temple is a Balinese Hindu cave temple where thousands of bats have a nest inside of this cave, Tenganan Village Is a traditional Balinese country side with unique cultures and social life, Tirta Gangga is a beautiful garden with water fountain and fish pond surrounds and Ujung Water Palace Is beautiful garden with fish pond surrounding the old building that is one of Karangasem Empire's omissions. East Bali Touris exploring the tourist destinations in east part of Bali with unique of local society life and pass through the beautiful beach of Candidasa. It is a Private Bali Toursoffering you a memorable experience of the local region along with our professional who is always providing our best service. East Bali Tour will more enjoyable with our Bali Tours Driver and full air-conditioning car transfer. The delicious set lunch will be served at local restaurant to complete your East Bali Tour with a memorable one. Below is short description places of interest will be visit during East Bali Tour.